Picknstake.com is not a bookmaker. We only provide statistics and tips for tipsters. 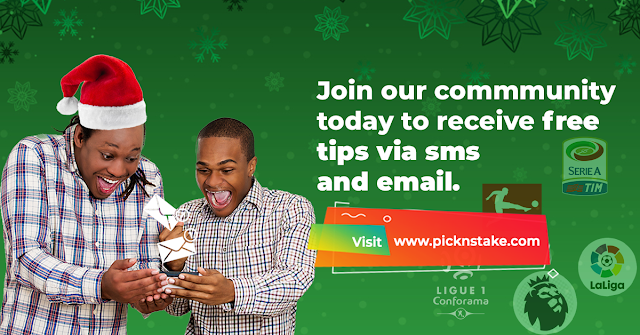 At picknstake.com we are set out to give you the best of footballing experience and information that includes: Football Predictions, News, Transfers, deadline transfers, gossips, sagas that surrounds football and suggestions on football outcome. We hope the information you find on picknstake.com will be relevant and helpful for whatever it is you are searching for as it relates to soccer in general. This is picknstake.com, your are welcome.